Say farewell in style – this card says “Adios” with two squirrels on a departing ship. 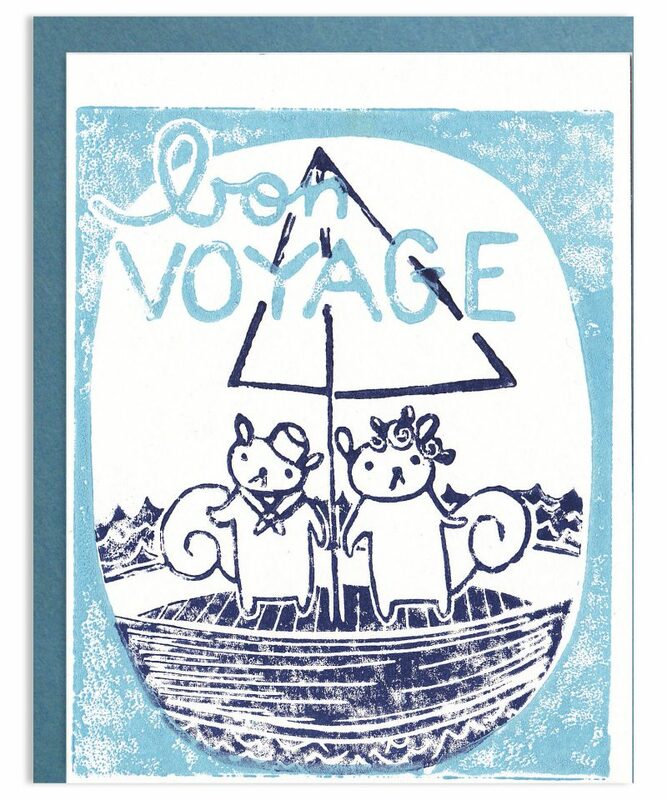 Bon Voyage greeting card is 5.5″ x 4.25″, envelope 5.75″ x 4.375″. Notecard interior is blank. Block printed by hand on recycled paper.